Welcome to my website! 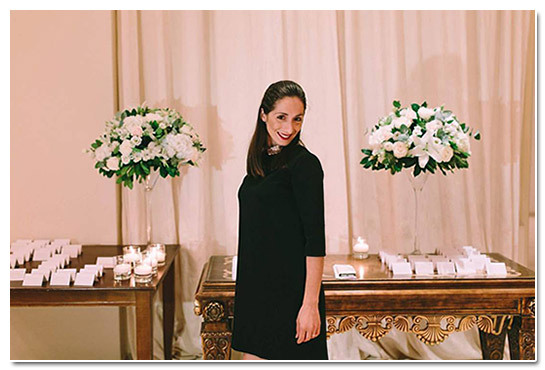 My name is Kyriaki and I'm the wedding planner of Exclusive Wedding Tales, a destination wedding planning company serving destination weddings all over Greece. My experience obtained as a Public Relations and Communications Expert and my active involvement of events' design while living in the USA led me to the foundation of this destination wedding planning company with main target to offer couples from all over the world an unforgettable experience. My passion for design, and my innovative ideas are captured and applied no matter the location of the event. My great appreciation and admiration of different cultures is the element that allows me to design exceptional events, while respecting and honoring all aspects of the cultural differences. With my expertise I always try to bring together different people with other backgrounds and make them become a part of the celebration. As a person I would say I'm a day dreamer, I love to travel and discover new cultures and countries, and I'm very passionate with elegant, stylish details in all aspects of life. In the new couples I always seek for the chemistry between us which is very important, in order to establish a bond of trust, mutual understanding, and to share with one another our vision for the wedding you have dreamed of. If you are as passionate as I am and you are considering Greece as your wedding destination I will be very happy to speak with you and to help organize the wedding of your dreams.